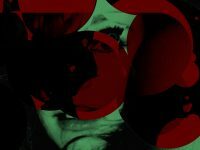 There is tenuousness between what is keepsake and what is discard. Henry Leutwyler chronicles material culture in the similar fashion that a forensic scientist probes incidents of homicide: the personal is political. 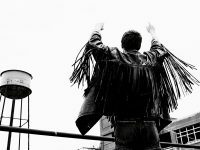 His new book, “Document,” is an iconography of possessions owned by some of the 20th century’s most significant names like Marilyn Monroe, John Lennon, James Dean, Coco Chanel, and Muhammad Ali. 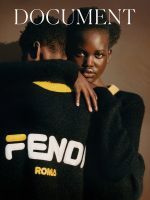 Among other objects photographed for the release—a Christian Dior tuxedo shirt, a Rasta cap, a pair of Issey Miyake sunglasses, and a Muppet doll—each testifies that their proprietors, however elusive from the public eye, were indeed perfectly imperfect. 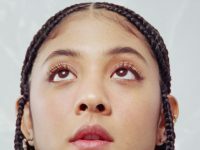 Shedding his greenhorn years as a pupil to photographer Gilles Tapie, Leutwyler migrated to New York City in 1995 and swiftly synonymized his name with portrait photography. 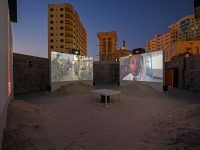 One might recall images of “Neverland Lost: A Portrait of Michael Jackson,” (2010), the first of his five books published by Steidl, in lone exhibitions across the globe. 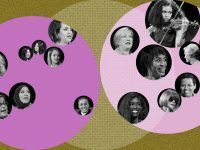 Within the last decade, the photographer has lensed the likes of First Lady Michelle Obama, American author and journalist Tom Wolfe, and International singer-songwriter Rihanna. There is an extraordinary opportunity Leutwyler is afforded in the first moments when his subject emerges before him, a process that involves both intimacy and vulnerability in order to discover the beauty within each individual. Leutwyler’s photographic vocabulary is antithetical to the fussiness and sensationalism characteristic of many styles in contemporary photography today. 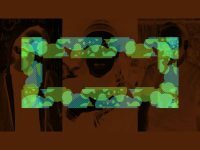 This year, Foley Gallery, New York, will host in solo exhibition images from “Document” beginning November 3, 2016 until January 8, 2017, while the Musée des beaux-arts in Le Locle, Switzerland will stage an exhibition of the same title next June 17 until October 15, 2017. 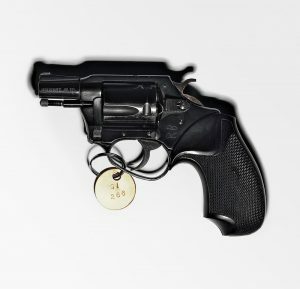 The Charter Arms .38 caliber revolver used to kill John Lennon. “Document,” 2016. Image and text by Henry Leutwyler, courtesy of Steidl. 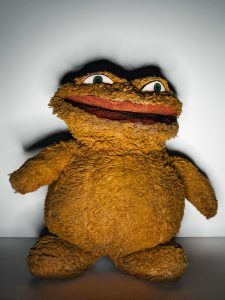 Jim Henson’s (1936 – 1990) first “Muppet,” c. 1955. “Document,” 2016. Image and text by Henry Leutwyler, courtesy of Steidl. 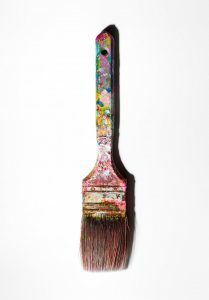 Andy Warhol’s (1928 – 1987) paintbrush. “Document,” 2016. Image and text by Henry Leutwyler, courtesy of Steidl. 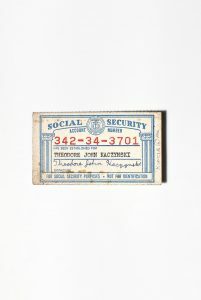 United States Social Security Card of “Unabomber” Theodore Kaczynski (b. 1942). “Document,” 2016. Image and text by Henry Leutwyler, courtesy of Steidl. 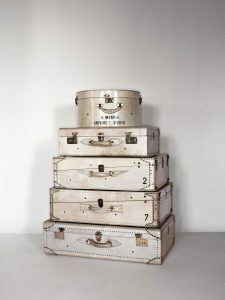 Marilyn Monroe’s (1926 – 1962) stack of Goyard traveling trunks at Universal Studios. “Document,” 2016. Image and text by Henry Leutwyler, courtesy of Steidl. 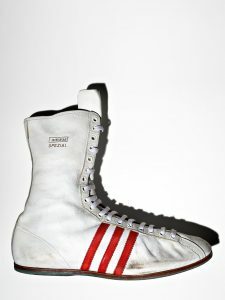 American boxer Muhammad Ali’s (b.1942) Adidas “Special” boxing shoe, size 13 US. “Document,” 2016. Image and text by Henry Leutwyler, courtesy of Steidl.